Provide your patrons with shortcuts to the legal research resources they need! Federal Regulatory Research: Selected Agency Knowledge Paths presents sample pathfinders to help law librarians access and navigate the labyrinth of federal agency laws, regulations, interpretative releases, memoranda, and dockets. These knowledge paths represent the input of government, academic, and private law firm librarians with varied patron bases and institutional missions. The book provides access information to a wealth of quality sources, saving you the timeand troubleof searching through endless hours of print and electronic resources. 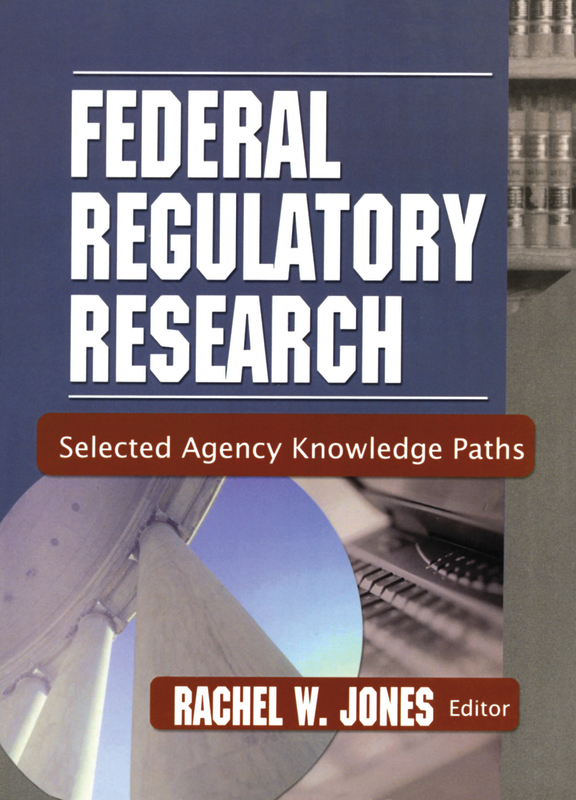 Federal Regulatory Research: Selected Agency Knowledge Paths is a vital resource for law librarians in their quest to provide patrons with research guidance on legal and regulatory subjects.